Johan Anker was an artist in yacht design greatly concerned with the beauty of lines - BOJAR is a boat of such breathtaking and effortless beauty; she genuinely lifts the human spirit and perhaps defining the term ‘classic yacht’. 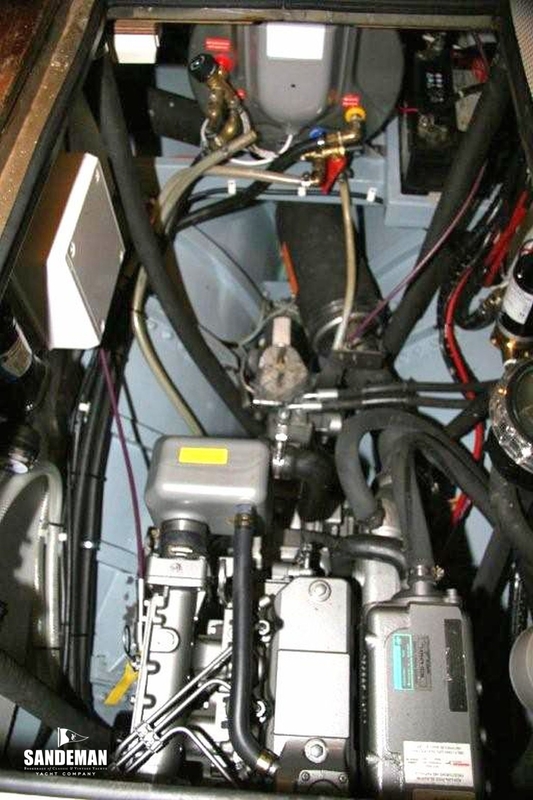 A ballast ratio at approximately 50 / 50 she is an extremely effective sailing boat. Rarely off the podium at any classic regatta – at the RYS Bicentenary Regatta BOJAR proved an equal match for icons DORADE and STORMY WEATHER. 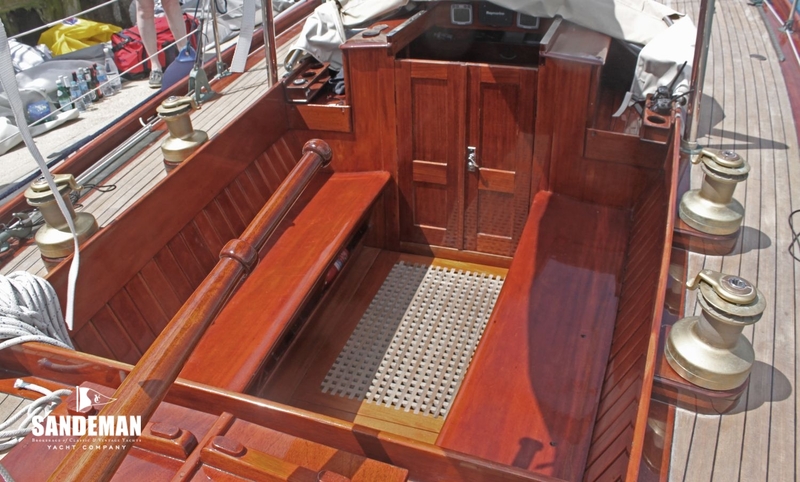 In these days of restorations, it is rare to find a boat both so original and in such fine condition. 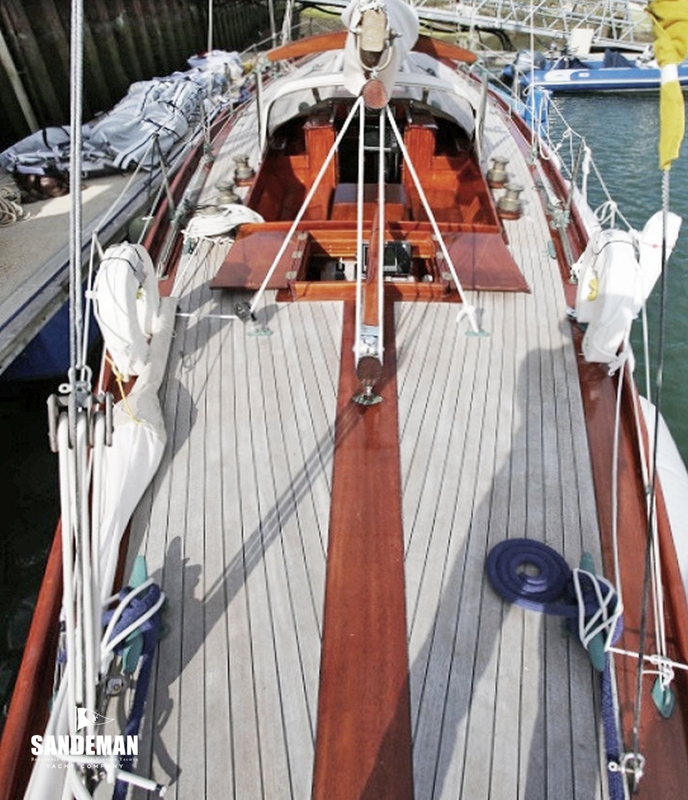 With only a few owners throughout her life – the last but one for 28 years, the short Norwegian sailing seasons with winters in a boat shed will also have helped. 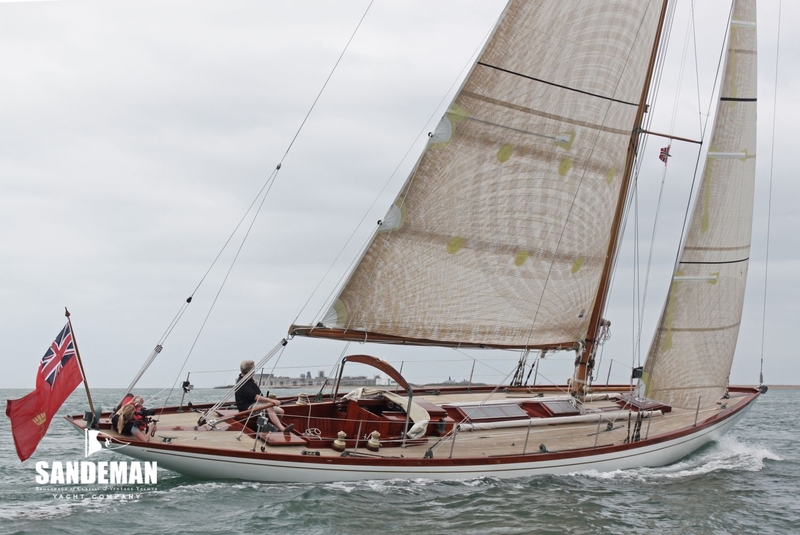 BOJAR can be raced with family and friends or easily cruised by just two people - unusual for a yacht of this size and vintage. Highly recommended. 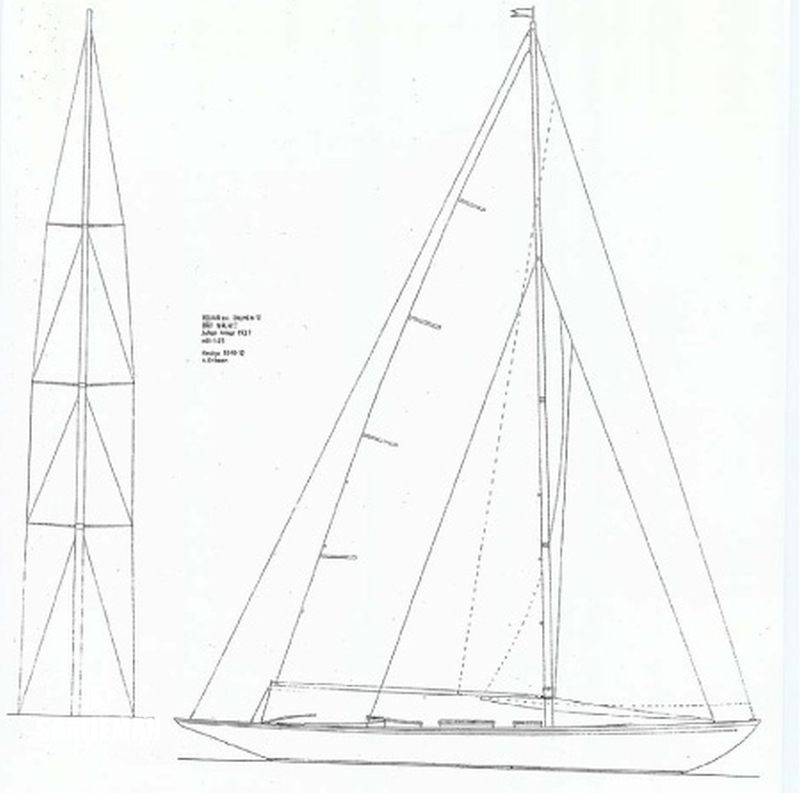 - Minor top spreader rig modification and enhanced upper shrouds using 7mm diform to stabilise the iconic Anker mast so as to use original mast head designed foresails and spinnakers. Fully certified weight and measurement certification of the IRC rating by pressure calibrated weighing plates supervised by the Lymington RORC rating office measurement team. 2018 IRC certificated measurement achieved 0.961 and a KLR of 0.957 close to the 2012 figures after design and implementation of a rating optimised original sail plan. 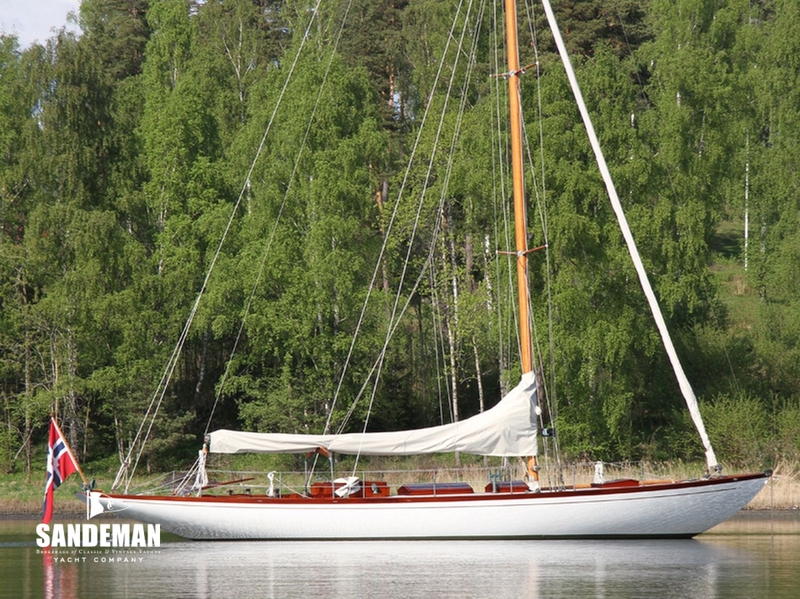 BOJAR was built by Anker & Jensen of Oslo, one of the most prestigious yards in Scandinavia using materials and applying craftsmanship of the very highest quality. 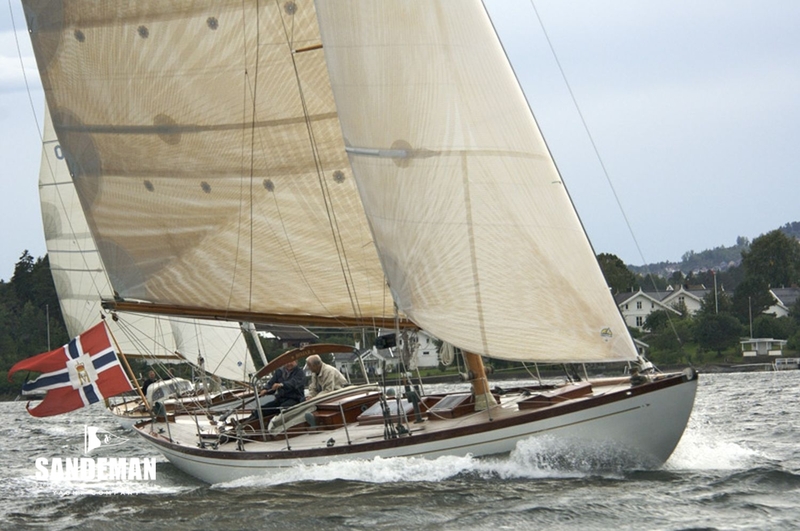 BOJAR had a long sailing career in Norway before joining the Solent based fleet of classic yachts in 2012. 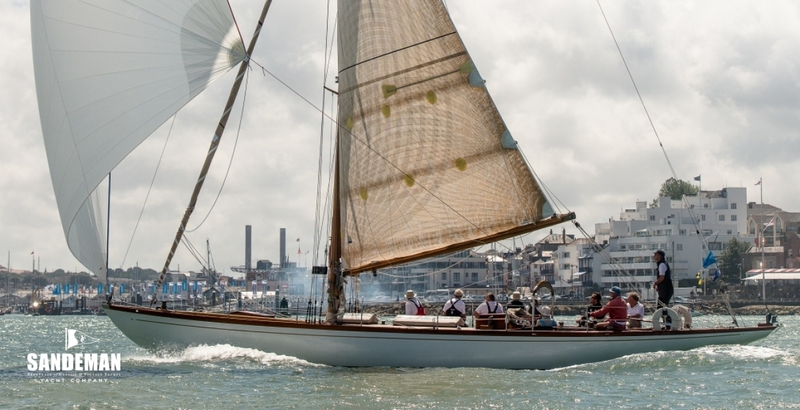 In Cowes she has participated in the annual Panerai Cowes and Classic Week regattas showing impressive form, which led to an invitation to the RYS Bicentenary in 2015. This event saw BOJAR racing against STORMY WEATHER, DORADE, ARGYLL AND TOMAHAWK as well as 20 of the local English based classics including CETAWAYO, INFANTA, OPPOSITION AND WHOOPER. 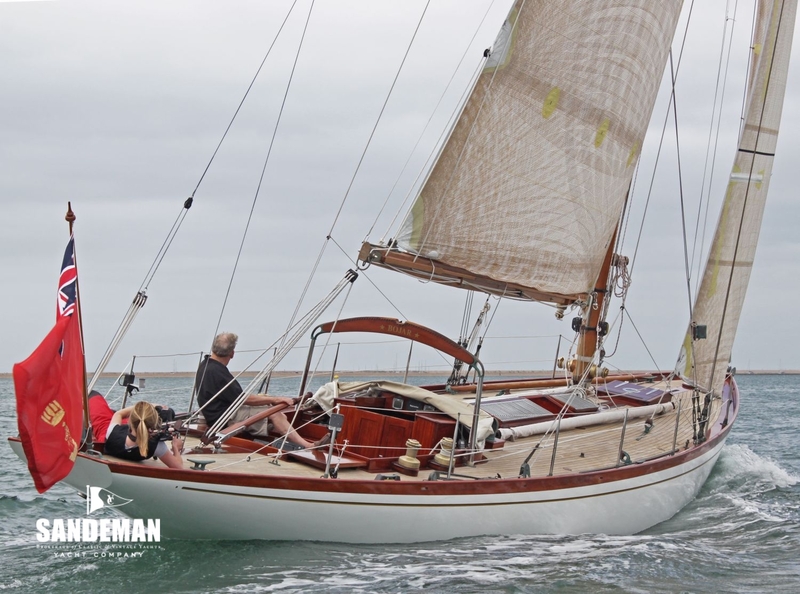 Fleet and class racing at these regattas saw BOJAR achieve some impressive results against more modern designs both inshore and in the offshore conditions experienced in the Round the Island classic regatta races. This racing programme has provided a spectacular series of photographs that evidence the success of the newly designed sail plans and IRC 0.973 rating optimisation without compromising the originality or integrity of the 1937 build. 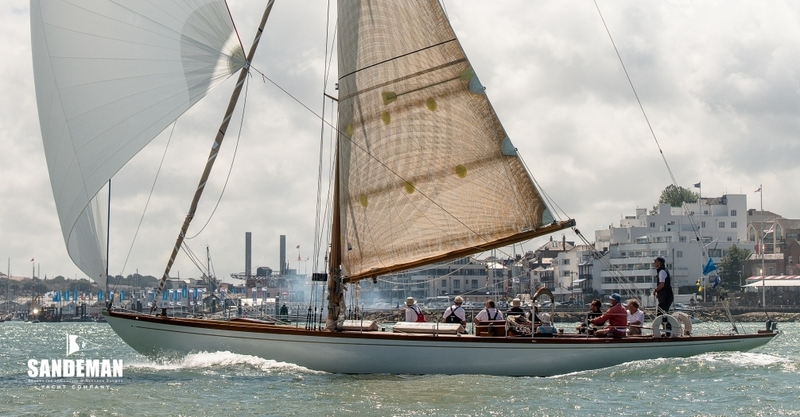 Round the Island Classic Yacht races - First in class in RYS Bicentennary Regatta and three third places in the three Panerai RTI events held between 2012 and 2016. 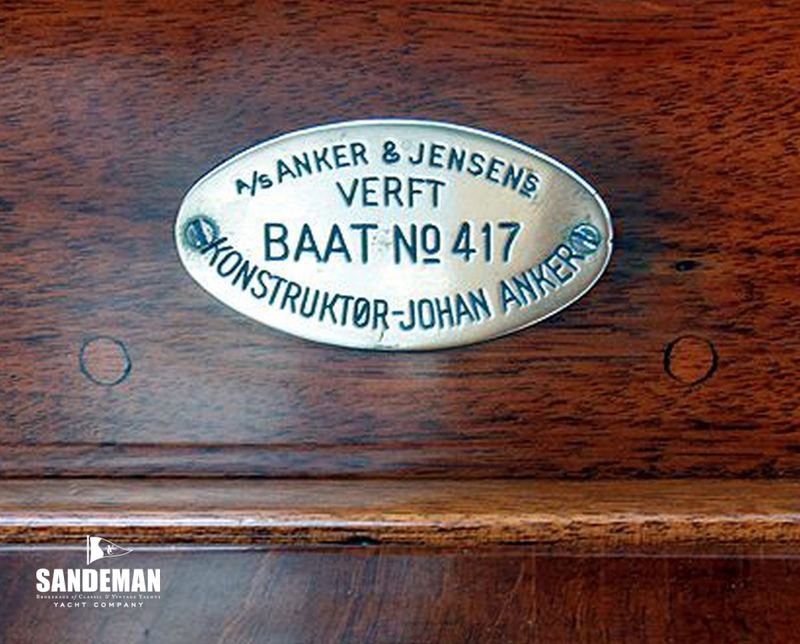 BOJAR was launched in 1937 as ILMEN V and was one of the last designs from the board of Johan Anker. 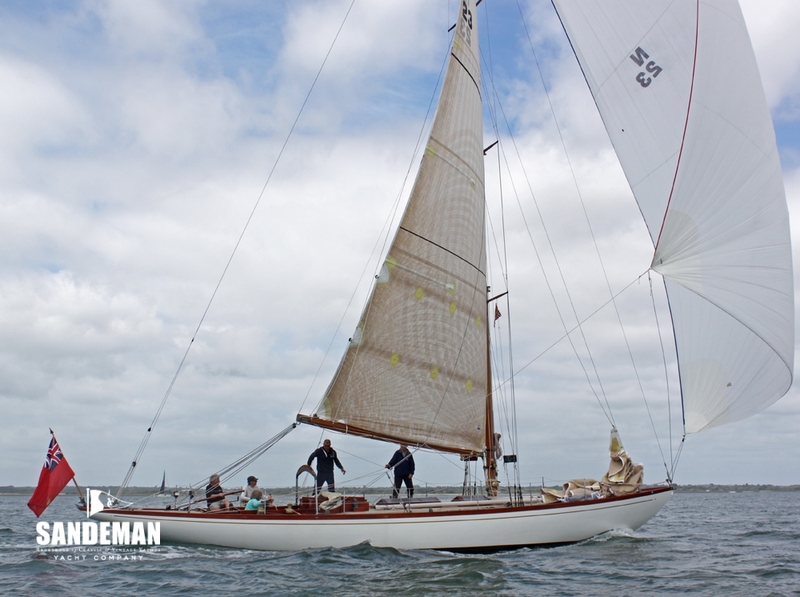 She rates as a 10 metre class yacht, originally launched in 1937 as ILMEN V which was one of the last 90 square metre designs from the board of Johan Anker being built with similar dimensions to a F class 10 metre designed to cruise and race with the metre classes. 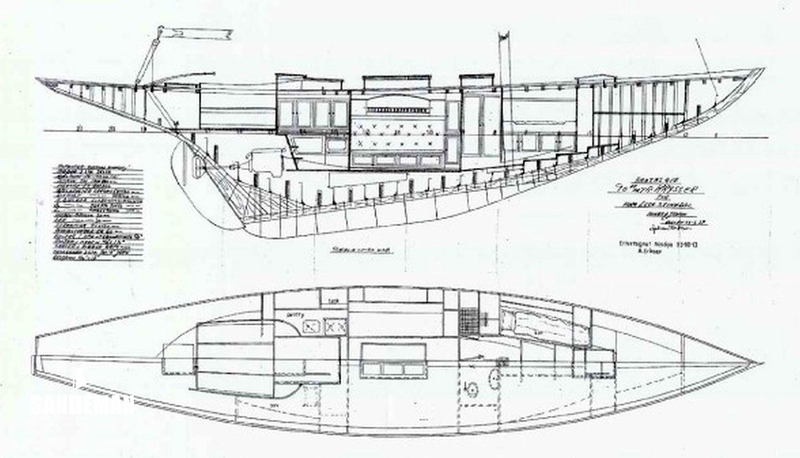 Anker’s reputation is in part due to his incredible success in International Rule designs, his creation of the iconic Dragon One Design - and of all the famous designers of his era, he was arguably the best helmsman. 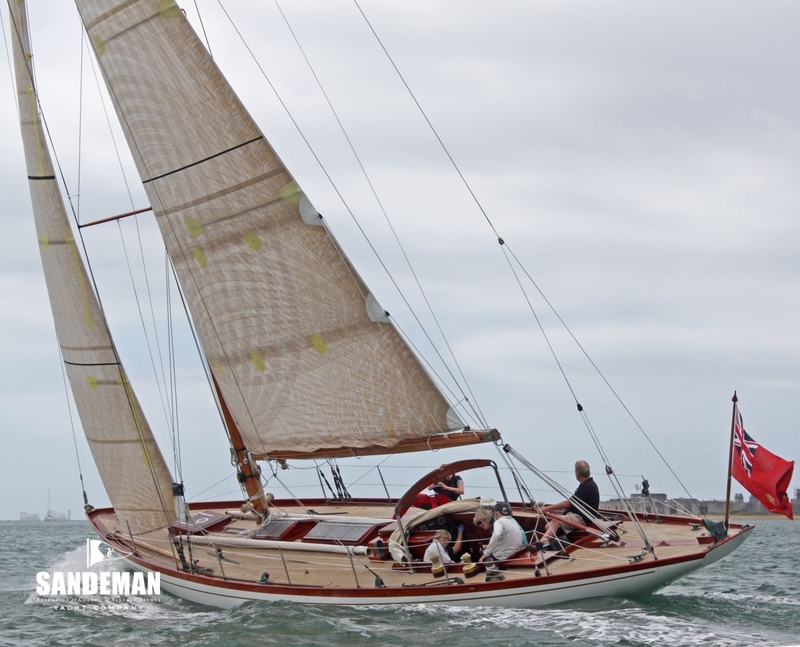 Anker often watched the offerings of Messrs Fife and Mylne cross the finish line behind him - This “feel” for a boat helped him create some of the fastest and most beautiful designs of any period. BOJAR’s dimensions are similar to the 10 Metre class, but with the slightly greater beam, that her first owner Ludvig Swinndal had requested, in his quest for the perfect cruiser racer. In due course she passed to Ragnvald Jacobsen, re naming her BOJAR, and keeping her from 1941 to 1967. 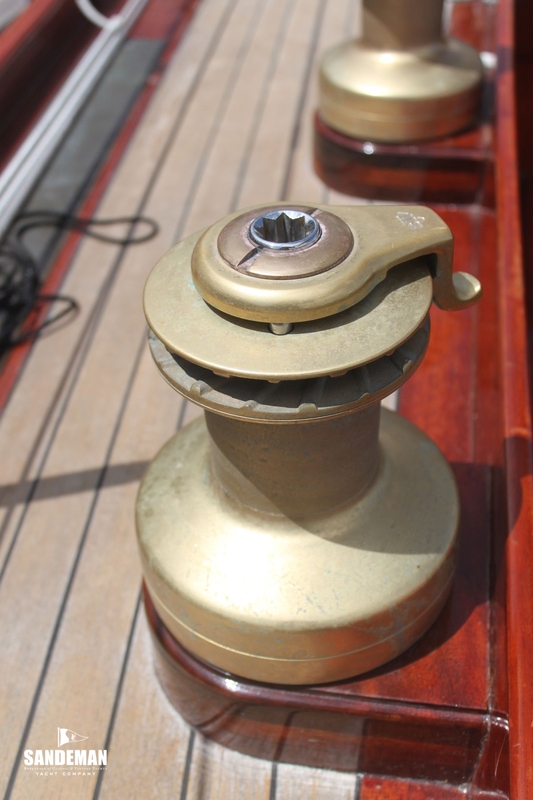 Jacobsen was also a talented helmsman, winning many regattas in the 5.5 and 6 Metre classes.